Governor Rochas Okorocha has said that if Chief Uche Nwosu comes out to contest the 2019 governorship election in the State, he would support him on the ground that he has all the qualities of an ideal leader. Chief Nwosu is the current Chief of Staff Government House and an ardent apostle of the Rescue Mission Government in the State. 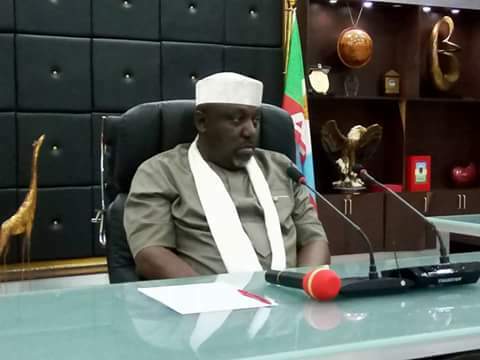 Governor Okorocha spoke when the officials of the All Progressives Congress, (APC) and leaders from Owerri Municipal Council visited him on Monday, February 12, 2018 at the Government House to urge him to encourage and support Chief Nwosu for the governorship of the State in 2019, adding that the monumental achievements of the governor could not be left in the hand of any-how person. 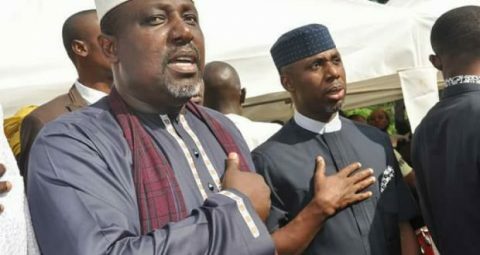 The governor stated that although the Chief of Staff has not told him that he wants to run for the governorship of the State, but if he comes out he would support him, adding that he has known Uche Nwosu over the years but does not know his parents and described him as an honest man who, whatever he tells you in the morning is what he will tell you in the evening. The governor continued “What the State wants is Imo governor and not Owerri Zone or Orlu Zone or Okigwe Zone governor. Zoning does not put food on the table of anybody. The young man is a team player, who does not use his office to molest anybody. He has the qualities of a good leader. If he says he will run for governor, I will support him”. His words “Obviously it might be as a result of these qualities that most people are talking about Uche Nwosu for governor everywhere even when he has not declared for the governorship. It might also be the reason for the endorsements he is getting from all quarters. You see, you don’t hide a good product. And the joy of every leader is to have a worthy successor. You don’t mind political opportunists. We have done very well as a government and we should be concerned about what happens to the achievements after”. He continued “I am not from Owerri zone, but my administration has done more projects in Owerri zone and Owerri Municipal in particular more that the administrations before me had done put together. We need Imo governor and not a zonal governor. I have done in Okigwe zone what the man from the zone could not do for them. The records are there”. The governor also called on the Igbos not to repeat the mistake of 2015 stressing that the Igbos must massively vote for APC and President Muhammadu Buhari in 2019, adding too that the Igbos need the North for Political survival. In their speech earlier, Hon. Barr. Obinna Mbata who spoke on behalf of the Party and Political leaders from Owerri Municipal said their desire is to see a person with sense of leadership no matter where the person comes from to succeed Governor Okorocha and a person who believes in development, and that they have seen Chief Nwosu as the man with these qualities. Barr. Mbata’s words “The question is what happens to the amazing achievements of the governor after he must have left. The achievements of the governor have exceeded the expectations of so many people. And who succeeds him should be the concern of all patriotic Citizens of the State. That is why we are here, to tell you that Uche Nwosu has all it takes to measure up well”. 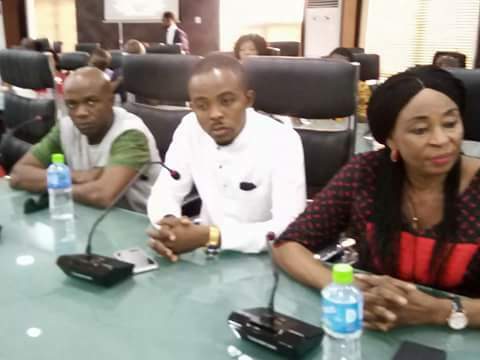 Among the dignitaries in attendance is the member representing Owerri Municipal Constituency in the State House of Assembly, Hon. Lugard Osuji.